We are living in extremely difficult economic times. Most families require multiple incomes to sustain their lifestyle. Many of our family members, friends, and co-workers have lost their jobs making it nearly impossible to meet their financial obligations. The Federal Bankruptcy Code was enacted to give financial relief to distressed individuals and businesses and give them a fresh start in their economic future. In almost all cases, individuals filing bankruptcy have experienced unfortunate events in their lives. In almost all cases, it is bad things happening to good people. A death, divorce, disability, job loss, uninsured health issue, or unexpected debt can be the catalyst that eventually pushes an individual or business into bankruptcy. Deciding to file bankruptcy is a difficult decision. The decision to file bankruptcy requires the assistance of a skilled legal professional. 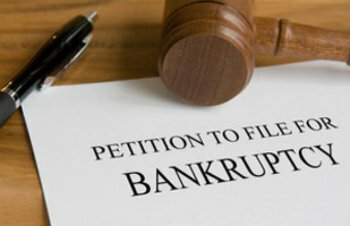 The Bankruptcy Code is designed to allow an individual to retain certain assets or possessions in order for the individual to effectively restart his or her life. There are limits however, as to how much can be retained and in what form your assets need to be, in order to be claimed as exempt. Our office can help you make those decisions. With regard to your indebtedness, unsecured debt (i.e. credit card debt, medical bills, unsecured bank loans, etc.) can be discharged in bankruptcy as well as a balance due and owing to a bank, after a bank repossesses a home, or an automobile, etc. Some types of debt cannot be discharged (i.e. student loans, child support, family maintenance, alimony, court fines, many types of taxes to the government, or damages, etc. caused in an accident resulting from drunk driving). In all cases however, the indebtedness requires careful review by an attorney. The Bankruptcy Code was amended in 2005. The amendment is known as the Bankruptcy Abuse Prevention and Consumer Protection Act which requires in part that before an individual is now able to file a Chapter 7 consumer bankruptcy the individual, or married couple, must pass an income-based test known as the Means Test. The Means Test is designed to determine whether individuals or married couples filing bankruptcy, who have primarily consumer debts, have adequate income to fund a Chapter 13 repayment plan. As of November 1st, 2017, the single earner filer in Wisconsin can earn up to $48,521, a married couple with no children can earn up to $63,739, and a family of four can earn up to $93,500 before completing the Means Test. In other words, if your income is less than the above amounts, you will not be precluded from filing a Chapter 7 bankruptcy by virtue of income. The amount listed above increases by approximately $8,200, for each household member in excess of four people. It is also possible that you could have income in excess of the above stated amounts and still file a Chapter 7 bankruptcy depending upon the amount of your secured payments (i.e. mortgage payments, car payments, and other allowable deductions from income). Again, preparation of the Means Test requires the assistance of a skilled bankruptcy attorney. The Means Test does not apply to a filing when over half the total debt is business-related. In some cases, individuals or businesses may desire to utilize bankruptcy to attempt an organized repayment of debt to their creditors. In those cases, a Chapter 11 or Chapter 13 may be appropriate. Also, some individuals or married couples that have income in excess of that allowed under the Means Test may be required to file a Chapter 13 Bankruptcy. Over the years, Cirilli Law Offices, S.C. has provided hundreds and hundreds of individuals, married couples, and families with a fresh economic start by filing bankruptcy in the Bankruptcy Courts for the Eastern and Western Districts of the State of Wisconsin. Our office has a reputation for extremely well-prepared petitions and effective representation of clients. There is no charge for an initial bankruptcy consultation. Attorney John M. Cirilli handles all bankruptcy, debtor/creditor relationship, and insolvency cases. Cirilli Law Offices, S.C. is a debt relief agency and helps people file for bankruptcy relief under the U. S. Bankruptcy Code.